The T-Roc is a very different kind of Volkswagen: one that’s designed to appeal to your heart as much as your head. As such, it can be considered a rival for a wide variety of small SUVs, from the Kia Stonic to the Mini Countryman. So far, it has impressed us with its comfortable ride, practical and spacious boot and the fact that it comes with key safety equipment such as automatic emergency braking with pedestrian detection as standard. The T-Roc’s options list is both allluring and comprehensive, so here’s what we’d choose to go with our preferred Design trim, adding luxury without breaking the bank. The Discover Navigation upgrade gets you an 8.0in touchscreen with dynamic route planning. It’s slick and user-friendly, although can also use the sat-nav on your phone through Android Auto or Apple CarPlay. 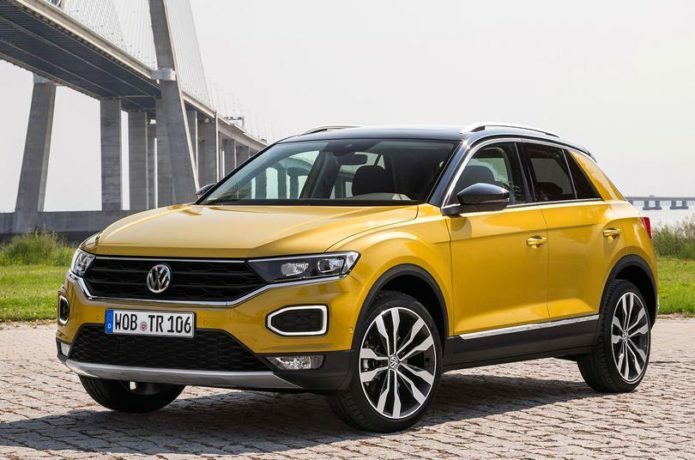 Volkswagen’s Active Info Display replaces the T-Roc’s conventional dials with a 10.3in screen, which can be configured to place useful information such as sat-nav instructions directly in your line of sight. Front and rear parking sensors are standard on the T-Roc, but adding a rear-view camera as well could be a shrewd move. It will cost you far less than a replacement rear bumper should you back into something. We consistently recommend metallic paint, because it adds value to your car and enhances its look and is usually an inexpensive upgrade. There are eight colours to choose from on the T-Roc. With keyless entry fitted to your car, you’ll be able to unlock and start it without ever having to take the key fob out of your pocket or bag. This convenient feature makes exiting the car just as easy. It’s relatively cheap, too. You can add adaptive dampers that allow you to soften or firm up the ride, but we wouldn’t bother; the T-Roc is already one of the comfier small SUVs.